The new Riddick Film is moving forward at a pretty fast pace now. We know that it is getting an R-Rating and that it has been filming for a while. 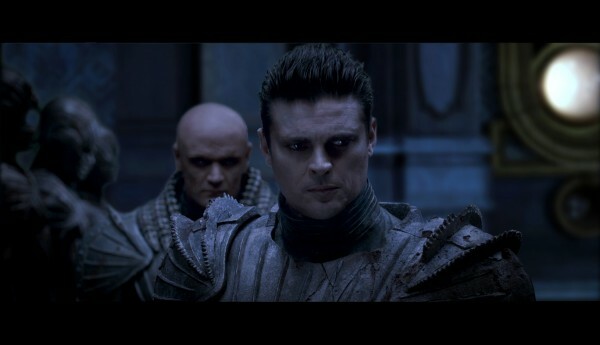 Today, we are getting our first looks at the new logo and at the return of Karl Urban as Vaako. Along with Karl Urban, Riddick also stars Vin Diesel, Katee Sackhoff, Jordi Molla, Matt Nable, Conrad Pla, Raoul Trujillo, Nolan Funk, Keri Hilson, and Bokeem Woodbine.